One of the things that can make some people think twice about getting their teeth straightened – or at least delay getting around to it – is the prospect of having their mouth stuffed with putty while their orthodontist makes a mold of their teeth. Fortunately, at Brace5 this outdated and, frankly, unpleasant, undertaking is no longer part of the teeth straightening process, having been superseded by some incredible technology several years ago. In 2011 Brace5 became Australia’s first orthodontic practice to replace old fashioned teeth molding with high-tech scanning using the Itero Scanner. This impressive piece of equipment is the most accurate non-radiation device available to take a 3D image of your teeth. In over 3,000 scans at Brace5, we have never had to do a retake. We could elaborate on the technical specs, but to be honest, all most people really want to know is that a simple mouth scan with the Itero means that they won’t need to gag on a mouthful of putty. 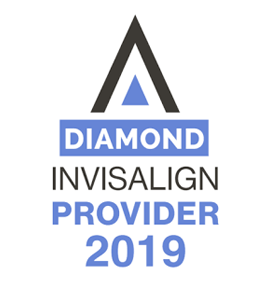 If you are planning to get your teeth straightened – and especially if you’re hoping to do so using the best available option, Invisalign – then make sure that your orthodontist plans to start the process by scanning your teeth with the iTero, because anything else is second best, slow and uncomfortable. Make an appointment with Brace5 today, and we’ll put you on the most comfortable and technologically advanced path to the smile you’ve always wanted.